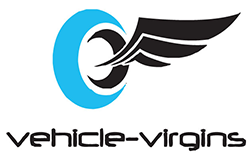 Register Now Vehicle Virgins Fans and get a Free GTCon T-Shirt! GTCon is a three-day event held at the Anaheim Marriott July 13-15, 2017 where influencers, creators, celebrities, industry professionals, automotive companies and fans join for an immersive, creative automotive experience. Meet your favorite personalities, see a collection of very unique cars and experience what makes the automotive community special – the people! Register now to receive your FREE GTCon GTCon T-Shirt ($25 value)! As a thank you for your registration, we are offering our first 250 Vehicle Virgins registrants a free commemorative GTCon T-Shirt, available for pickup at registration check in. GTCon attendance is open to everyone. There are three tracks available to attendees of GTCon – Fan Experience (Community), Influencer and Industry. The GTCon Fan Experience (Community) track will allow fans of automotive influencers to get up close and personal with celebrity content creators. A Fan Experience (Community) registration will give you access to keynotes, panels, Q&A’s, photo-ops, autograph sessions, entertainment and special automotive related events. The GTCon Automotive Influencer track caters to current and aspiring content creators on YouTube, Facebook, Instagram, Snapchat, Twitter, Podcasts, Television and more. Exclusive Automotive Influencer Conference tracks will include sessions on content creation, monetizing your brand, managing your business, finding an agent, industry partnerships, platform management, audience acquisition and more. The track will include keynotes, panels, roundtable discussions and networking events. The GTCon Industry track is for professionals in and around the automotive and creator industries. This track is for managers/agents/representation seeking talented creators, automotive professionals seeking meaningful partnerships, services that support content creation and professionals that create and manage platforms that serve as the conduit for creators to reach the community. GTCon will help industry leaders connect and creators to bridge the gap in understanding the impact of emerging platforms and automotive influencers on the consumer. GTCon will help facilitate the collaboration between brands and creators. Please check back often as this is a partial list updated frequently as we announce more exciting speakers and panelists! How much is a view, like and click really worth? 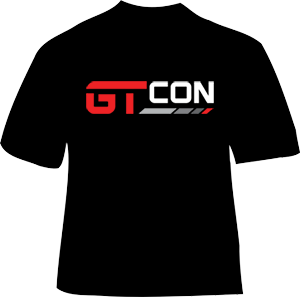 Free GTCon T-Shirt for the first 250 Vehicle Virgins Fans!